It’s World Snake Day! If your first thought sounds something like, “Why in the world would we dedicate an entire day to snakes?” You’re probably not alone. However, snakes play a crucial role in our ecosystem, even if the thought of them makes your skin crawl, and we think that is something worth talking about, understanding, and celebrating. 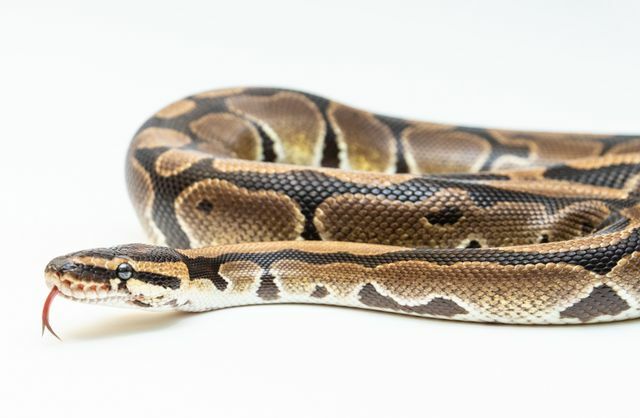 Did you know snakes technically aren’t poisonous, only venomous? If an animal is poisonous, the toxin that is harmful to you is on their skin or tongue. Making them harmful to the touch. If an animal is venomous, it’s their bite that is the problem. The animal will inject the toxin into their victim either as prey or a self-defense mechanism against a predator. There is no complete way to identify whether a snake is venomous or not. Should I be worried about the snake in front of me? There are certain things to look for if you stumble upon one on a hike or in your back yard. The majority of venomous snakes in North America are “pit vipers” meaning they have heat-sensing pits beneath their eyes. Venomous snakes will normally have triangular or arrow-shaped heads with slits for pupils. If you aren’t able to identify any of these features on a snake you encounter, you should not interact with it. Occasionally snakes without these features are venomous. If you do come across a snake that you are sure is venomous, do not attempt to kill or capture it. Instead, back away slowly while watching it and move yourself, family, and pets to a safe area. Without snakes, the rodent population would sky-rocket, creating a ripple effect on the ecosystem. 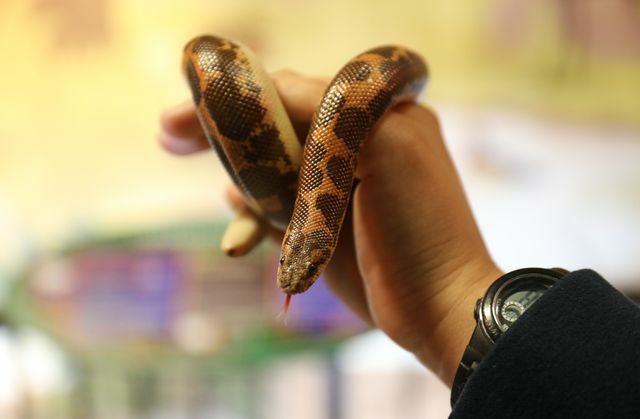 The Cape Snake Conservation refers to mice, rats and other rodents as a major threat to global food production and act as reservoirs for disease. That’s a pretty good reason to have snakes around. A strikingly bright green color, they easily blend into their surroundings living in the rainforests of South America. Emerald tree boas are a non-venomous boa species. 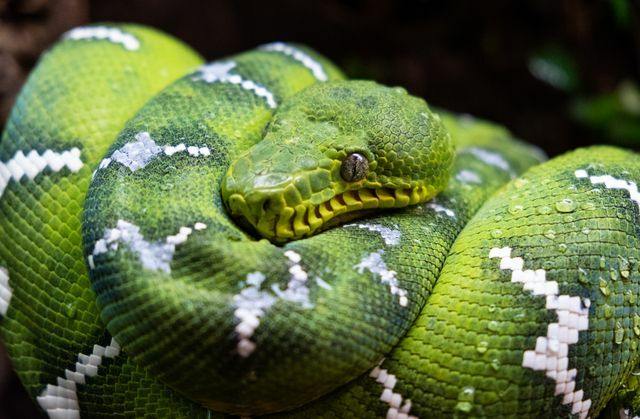 Emerald tree boas can grow to be over six feet in length, but some can be as large as nine feet long. They hunt by reaching down from branches and grabbing their prey, pulling it back up to the tree and constricting it. Their diet consists of arboreal rodents, squirrels, lizards, bats-and even monkeys! Residing in Uganda through Central and Western Africa to Senegal, these snakes live in dry grasslands, forests and agricultural lands. These non-venomous snakes can grow to be over four feet long, with brown markings and spots on its back and an ivory underside. These snakes prefer loose, soft sand on the edges of deserts and sand dunes found in parts of Northern and Eastern Africa. These non-venomous snakes are a rich orange with interlocking brown blotches that start behind the eyes and continue down the rest of the body and tail. These snakes primarily eat smaller mammals, lizards and birds. To learn more about snakes check out one of our Educational Programs at Georgia Aquarium. 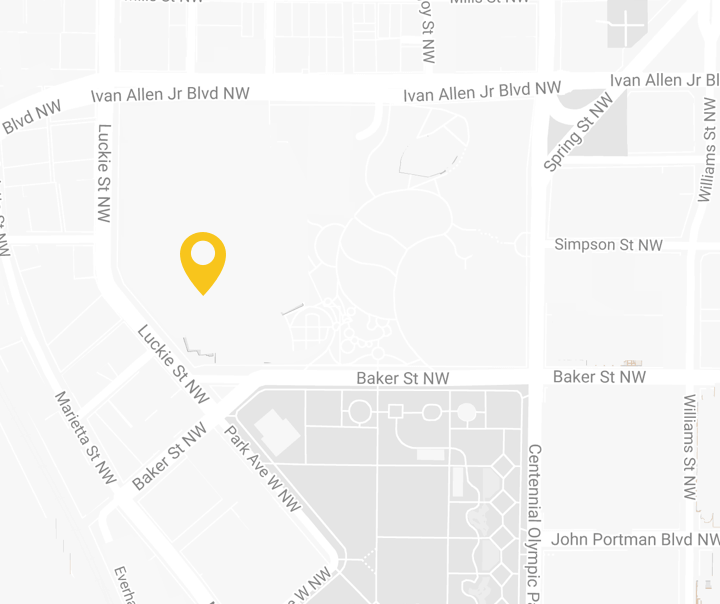 Follow along with us on Facebook, Twitter and Instagram.